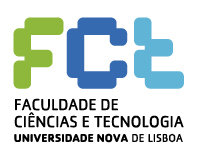 The Faculty of Sciences and Technology (FCT NOVA), of Universidade NOVA de Lisboa, is one of the most prestigious Portuguese engineering and science public schools and it is engaged in extensive research activity developed in 16 research centres. FCT NOVA partners with foreign universities such as the Massachusetts Institute of Technology (MIT), the Carnegie Mellon University (CMU) and the University of Texas at Austin (UTAustin) to offer some of its advanced study programs, pioneers nationwide. FCT NOVA has a broad expertise in cutting-edge R&D+I due to its multidisciplinary nature and strong experience in fundamental and applied research projects in several areas, with internationally recognized professionals (researchers awarded ERC grants (six in total) and merit prizes), potentiating the entrepreneurial drive of their students and graduates, which has led to many successful spin-offs that transfer knowledge to the market and help create value and social impact. LAQV (Associated Lab. for Green Chemistry – Clean Technologies and Processes) and MARE (Marine and Environmental Science Centre) research centres participate in the KET4F-Gas project. LAQV is an internationally recognised research Centre in the thematic area of Green Chemistry, focused on the development of sustainable chemistry. The objective of MARE is to seek excellence in the study of aquatic ecosystems and disseminate knowledge to support policies for sustainable development.